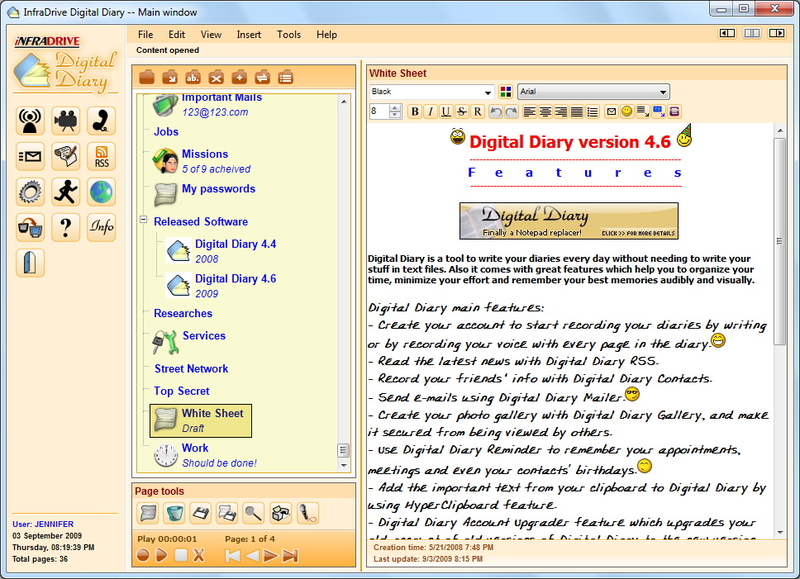 Digital Diary 4.6 - Download Win Apps. Digital Diary is a tool to write your diaries. DD is a tool to write your diaries every day without needing to write your stuff in text files. Also it comes with great features which help you to organize your time, minimize your effort and remember your best memories audibly and visually.